Is Your Content Marketing Strategy TOO promotional? If you went on a first date with a guy and he spent the entire night talking about all of his accomplishments and capabilities and didn’t ask you a single question, would you want a second date? Unless this guy is “The Most Interesting Man in the World,” you probably wouldn’t. Why, then, do business owners think it will be effective to create content that does more bragging than provide useful and insightful information? Whether you’re on a first date or trying to reach new customers, building relationships is a two-way street and you have to give a little to get a little. As a Content Marketing Strategist at Brafton, I work with my clients to develop content that encourages dialog and ultimately drives conversions. How we accomplish this depends on a variety of factors, but balance is the core theme in all of my strategies. Your brand must do the same “give and take” to engage visitors from the time they are prospects to when they become repeat customers. About six months ago, I started working with a client in the home improvement space. This client was completely focused on promotional content and didn’t understand why his blog bounce rate was high and the average time on site for posts was lower than the site average. This business came to Brafton because it didn’t have the internal resources for continuous content creation, but what it really needed was an overhaul of its entire content strategy. Your brand must do the same “give and take” to engage visitors from the time they are prospects to when they become repeat customers. Part of any strong content strategy should absolutely include promotional collateral. Promotional content gets prospects to buy products and services and can increase brand voice by screaming “Look at me!” It works well for visitors who are further along the conversion path, but it tends to be shared less frequently on social networks and email. Creating shareable (evergreen and non-branded) content is a core component that attracts customers and keeps them engaged. Promotional content helps close the deal but there are more objectives to consider! If promotional content works best for people who are almost ready to buy, what other kind of content does a strong strategy need? This depends on each strategy’s objectives. Go ahead, brag about yourself (a little) but remember that nobody likes a one-sided conversation. In the case of my client, I explained that if he wanted to drive traffic, increase thought leadership and strengthen his subscription base, (with the end goal of selling his products and services) he needed to complement his promotional material with a mix of industry-facing news articles and well as perma-relevant evergreen pieces. These pieces keep visitors up-to-date with home improvement design & safety trends, provide top 10 lists for the benefits of a particular kind of product category and give visitors resources to make their own design decisions without inserting a strong sales pitch. In today’s business world, the consumer is king, and if you aren’t giving anything of value to your customers, they’ll find the information some place else. Go ahead, brag about yourself (a little) but remember that nobody likes a one-sided conversation. So, how do you know if your blog is too promotional? Well, if you have to ask the question, it probably is. Prior to working with Brafton, the only content on my client’s blog was promotional. Three months after incorporating news and evergreen content, we saw a significant increase in organic traffic and non-branded keyword rankings, but also in every single engagement metric including time spent on site, number of pages visited and a decreased bounce rate which speaks directly to content relevancy and engagement. Even better, this directly corresponded to an increase in conversion goals as illustrated by the Google Analytics screenshot below. By taking a step back and developing content that didn’t seem like it was directly making money, this strategy began providing bottom-line benefits. If you are thinking about implementing a content marketing strategy for your brand, make sure you have a balanced mix of promotional content and news/evergreen content. 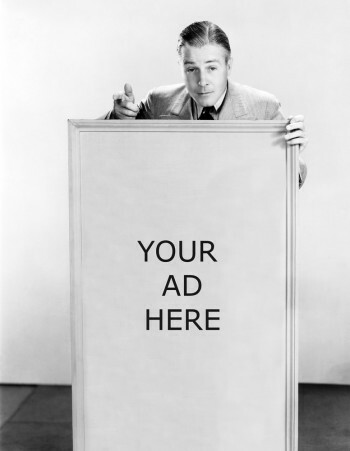 Don’t try to trick your readers with content that is really more of an advertisement, they’re too smart for that! Instead, develop a genuine relationship that is the perfect balance of give and take. Be the GOOD first date guy and offer your customers something that is going to benefit them. You need to be ready to capture conversion opportunities, but you can’t neglect content that will establish genuine customer/brand relationships. Lori is a content marketer, entrepreneur and musician living in Boston, MA. After receiving her BA from Umass Lowell and MA from Emerson College, Lori has worked in both in-house and agency settings and is thrilled to be a member of the Brafton Account Management team.